Video marketing is getting overtly popular these days . If you want to make your marketing successful, you must incorporate some clever techniques to rank better in google. The presence of a video in your landing page can be a very stimulating SEO act to rank better in google. It can impact a huge number of audience to get inspired and take the resulting action on your landing page. Why is SEO important to drive traffic to your website? 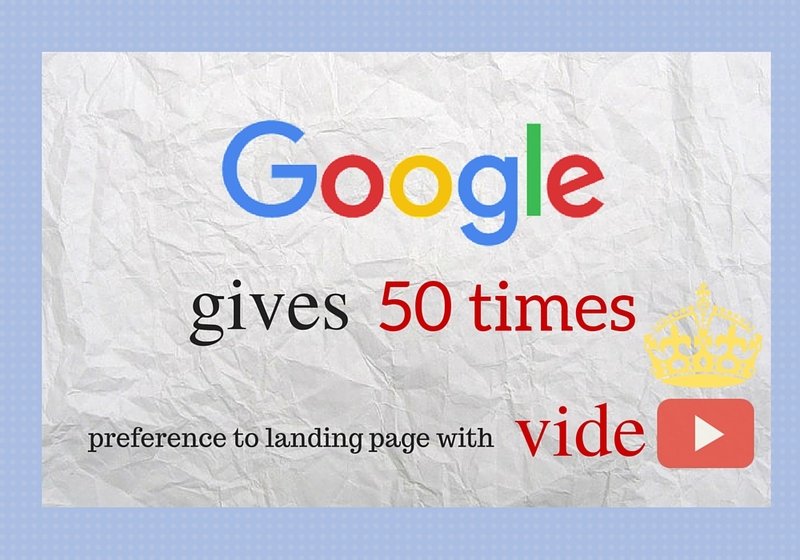 Here are some of the known facts of using a video in your landing page that helps to rank better in google. 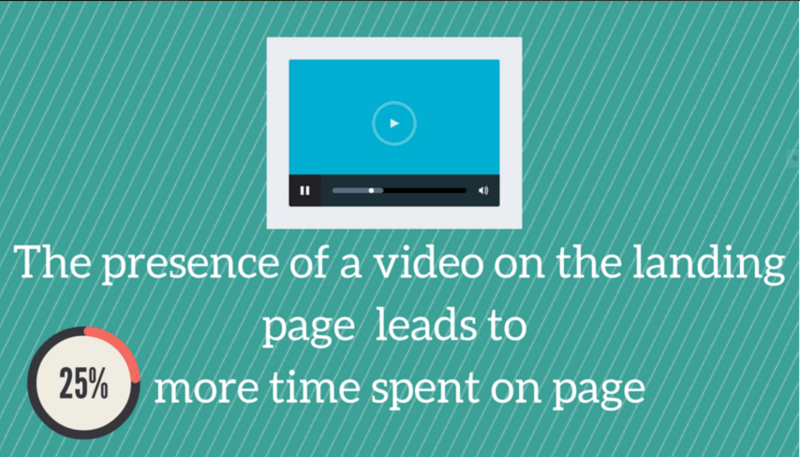 1.Video in landing page increases dwell time on page. It is a known fact that google changes its algorithm several times in a year. However, google’s ranking is totally unpredictable. Recently, in 2012, it had introduced a factor called “dwell time”. Dwell time is the time taken by the visitor to stay on the website after a click through SERP. The impact of dwell time on SEO is significant and one must not overlook this important facet of SEO. This is because, google sees ‘dwell time “ as an important metric known to weigh the website’s performance by google . For a successful SEO performance and to increase the “dwell time “ of your page, an interesting video on the landing page can work wonders. If you are successful in integrating your video with the landing page “,people tend to stay longer which will in turn increase the “dwell time”. 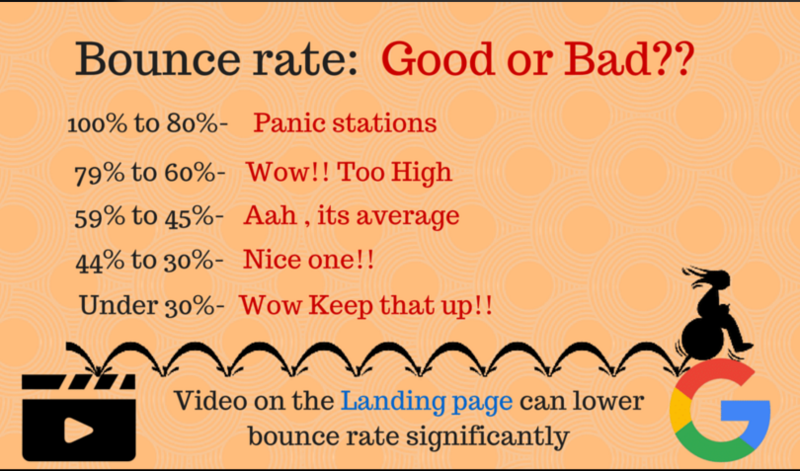 2.Video in landing page reduces bounce rate. Bounce rate is an important metric which determines your website’s performance and shows how you resonate with the viewers. It tells you how many visitors took away from your page after viewing a little of it. It is vaguely related to the dwell time and is the second important metric. How to decrease the bounce rate? a web page=total number of bounces of a page / total number of entrances. a web site= total number of bounces on all the pages/ total number of entrances. So, in order to reduce the true bounce rate, you have to attract the right visitors, enhance usability, use a good layout and obviously a good content. An enhanced solution could be“Use video on landing pages”. Entertain the audience by making an impactful storytelling video on your landing site, which can be either a promotional video , explainer video or a call to action video and keep your viewers hooked till the end. 3. Google gives more preference to videos in landing page. Submit a video sitemap to google along with some information using webmaster tool. It helps you to index your page better. Add video transcripts in your landing pages. Make it sharable through social sites. Create compelling thumbnails with good content which are of high quality and also eye catchy. Usage of an embedded video rather than a snippet, it can increase the number of clicks on your video. “Autoplay” on your video can enhance SEO performance. Therefore, it is necessary to optimize your page and carefully analyze the elements of your page to increase your CTR. 5.A video in landing page maximises conversions. A video on the landing page is the best way you can adapt to skyrocket your conversions. 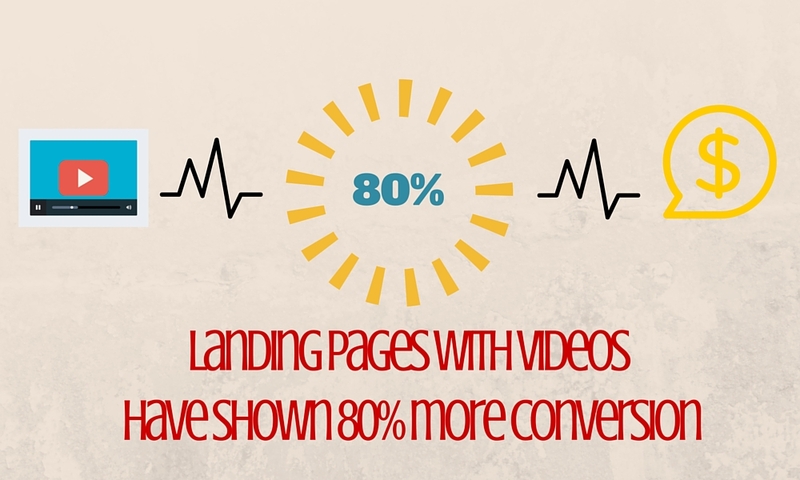 It has been researched that video in landing page increases conversions by 80%. This is because only a video has the power to communicate your message in a few seconds rather than a wall of text or an image . Many marketers wanted to test the fact if the presence of a video vs. image on the landing page. It was found that replacing image with video on landing page increases conversions by 12.62%. This is because video in landing pages can convey the brand message better and gain the trust of the audience. The presence of interactive elements in your video can further enhance the conversion rates. For example, a “sign up” feature or an “add to cart” button have shown significant increase in conversions. 6.A video in landing page generates social shares. Social media has the power to bring in the world together. 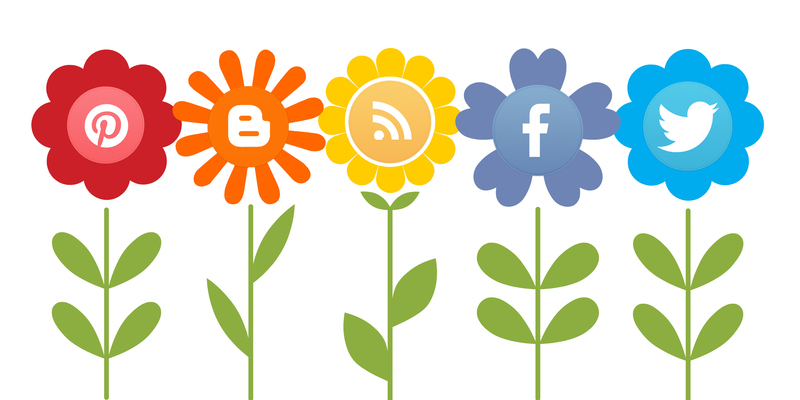 Be it professionally or personally, social media can make an impact. So you must spread your video through your landing page by giving a social access. You can add either social share buttons or elements on your page. You must highlight the presence of your social share buttons in your video to let the viewers know about your page. You can also add a “share “feature after the” sign up” feature to enhance SEO performance. Just the presence of any video on your website can show you a significant improvement in the SEO performance. So, if your video is creative enough, it will generate a lot of social shares. “ According to Simply Measured, a video is shared 1200 times more than links and text. Invodo reports that 92% of mobile video viewers share video.” Increase in social shares enhances popularity and increase in google ranking. You already know how powerful advertisements were in persuading the audience to buy the product. Similarly, the presence of a video in your landing page subconsciously builds a trust factor within the viewer to give more importance to the product. This is because it is the consumer's tendency to know the product before buying it. So, when your video showcases and advertises your product, it build a trust factor. The presence of a human face or a higher cadre professional attracts them and they start to trust the product.This way, your brand also gains brand recognition. You could make your video more appealing by using the caricature or a photo of any popular personality using animation and amuse your audience. It adds a humor quotient to the video and brings it a lot of credibility. Though the presence of the video in the landing page is highly successful, it can be a downfall if done wrongly. These tips are to be remembered while placing the video on the landing page. Placing the video at the top centre can be more beneficial than the end. Place a high quality video in your landing page, if the quality is low, it will tend to increase the bounce rate. You must analyse whether your video will help you and serve its purpose. Call to actions must be very effective. Add interactive elements in your video. For making your videos in landing pages, you must plan, test, and optimize step by step to become successful. You can use this sample landing page video template from Animaker. There were many successful landing pages which have implemented videos in them. It can be used as a success strategy in the present marketing scenario as the marketing trends have shifted from text to image and presently video. Google moves with the trend and you must implement it too, to rank better in google.